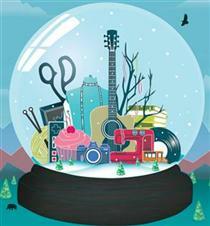 Pop Shop Houston November 28th, 29th, & 30th. Make plans to come out to this awesome free event! 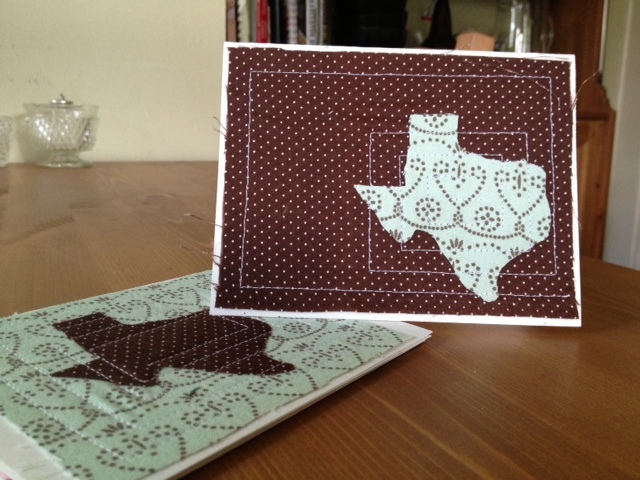 We’re the most ferociously adorable handmade cards around. 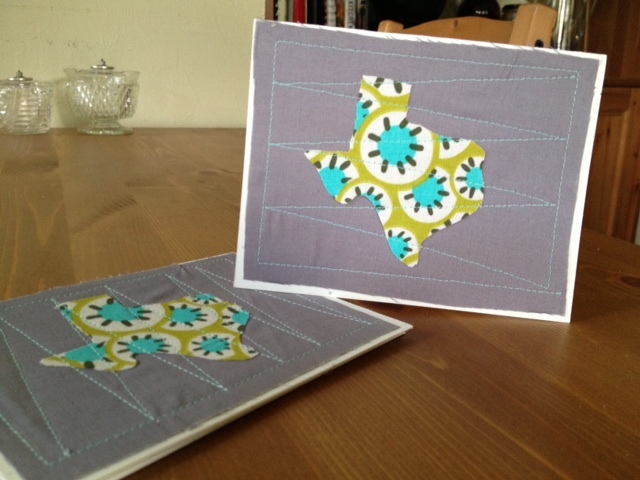 We love this adorable fabric! This fabric was too cute to throw away! 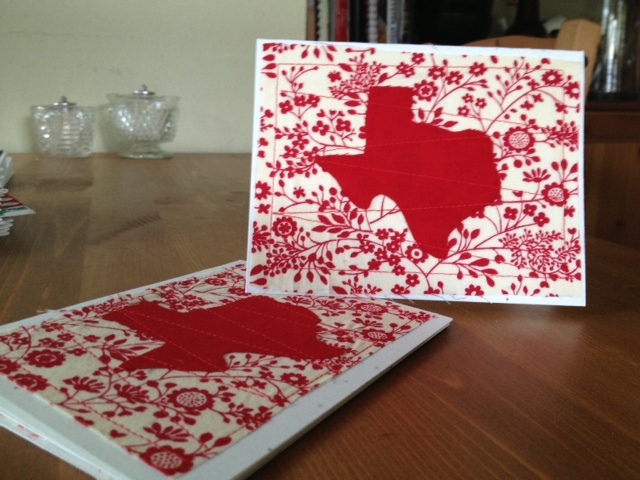 These cards combine cute fabric with red stitching to make something very special. 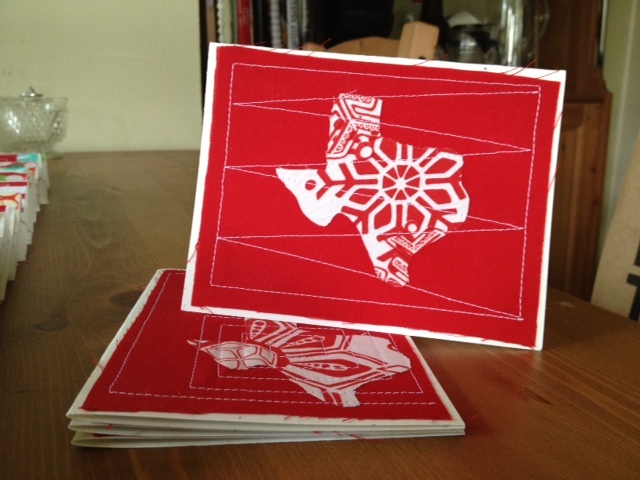 Send some Texas Christmas cheer with these fabric cards! Find us at Jubilee in the Heights! Last Craft Fair of the Season!